Passage is a collected and rising trot movement with only a little forward and a long flight moment. The energy is directed upwards instead of forwards. When done correctly, the upper legs of the horse are lifted horizontally. 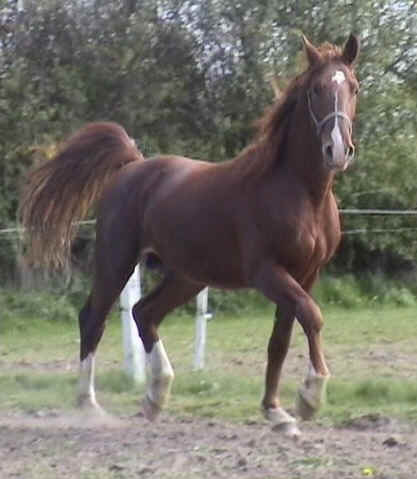 The carrying hind legs are taking a lot of weight and step and bend powerful forwards-upwards. In piaffe, it is only the carrying that is activated in the hindquarter. The horse moves almost in place. In passage, both the carrying and pushing are present in the hindquarter. The horse moves itself forward-upwards. In piaffe, the horse brings its hind legs under his point of weight with bended, flexible and supple joints. 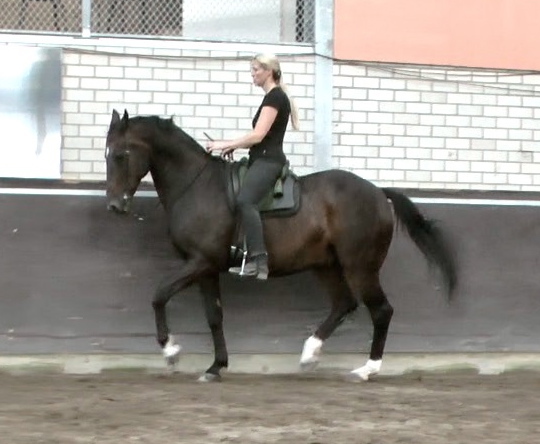 The addition of some push leads to a transition into passage or extended trot. In passage, the push is aimed in a forward-upward direction (green arrow). 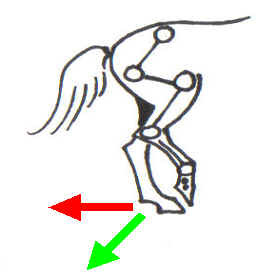 In extended trot, the push is directed more backwards (red arrow). In the old times, the passage was a king’s exercise to carry the king gracefully and royally past his subjects. The horse has a proud and fierce expression in passage. Therefore, this gait was also used by officers to ride during inspections and parades. The muscles of the back and hindquarter are made stronger and suppler. The shoulders are placed correctly in front of the hips. The focus and obedience of the horse to the aids increases. The passage is seen in nature when stallions try to impress others. Straightness Training wants to develop the natural movement and talent of the horse to as high a level as possible under the rider. A horse that is in balance (1.) and has become supple in his muscles through straightness training (2. Suppleness) can take the proper soft and giving posture (3. Shape). The horse bends in its haunches and pushes in a way that it can find the right speed (4. Tempo) and can move with a regular rhythm (5. tact) forward-upwards. In the end, the horse shows the looseness and movement in his swinging back (6. Swing). If you have never ridden a passage before, make sure you find an experienced horse to learn it on. After mastering this forward-upwards feeling, you can teach it to your own horse. 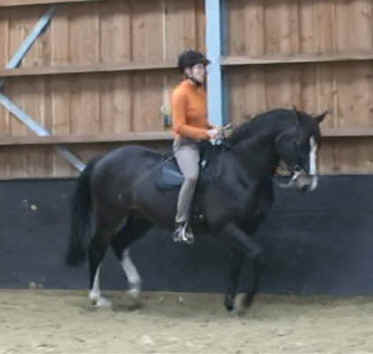 As a preparation, the rider can first ride transitions from piaffe into a forward going trot. Then the rider asks to go forward from piaffe in a more upward manner. This is how the passage should be developed. In time, the movements will become more perfect and more beautiful. 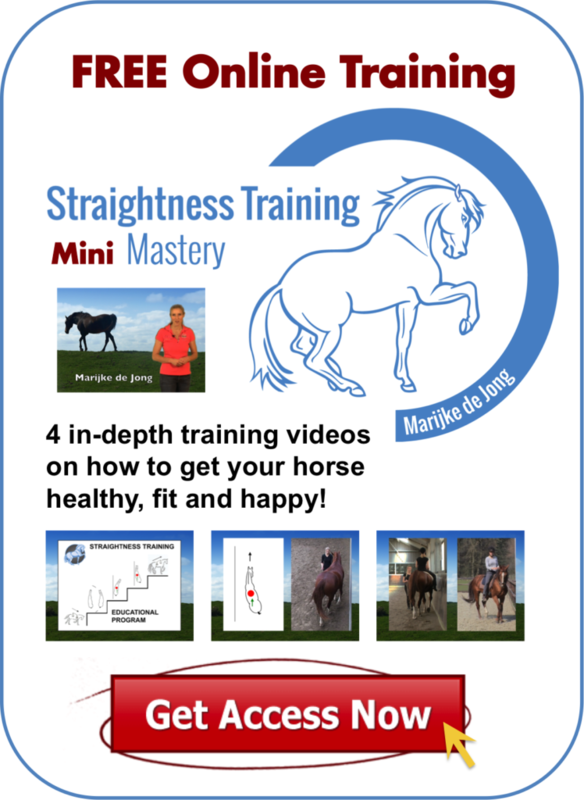 If you want to learn more about how to start doing the Straightness Training exercises, then join my free 4 part Mini Mastery Course! 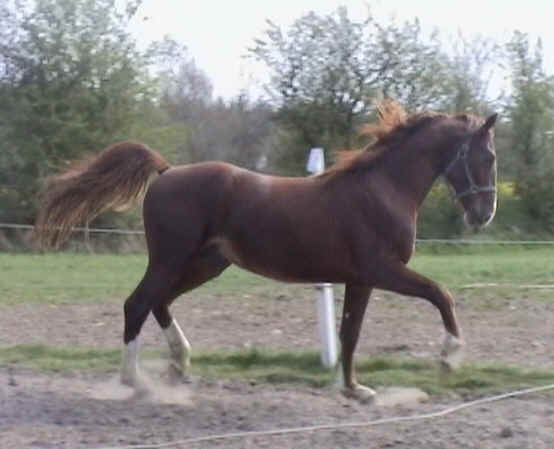 what are the aids to move from piaffe to elavation in the trot, and how to keep the elevation.